Having a Fix-moment where you don’t know what to ask your Stylist for? Wanting something new, but can’t quite put your finger on it? 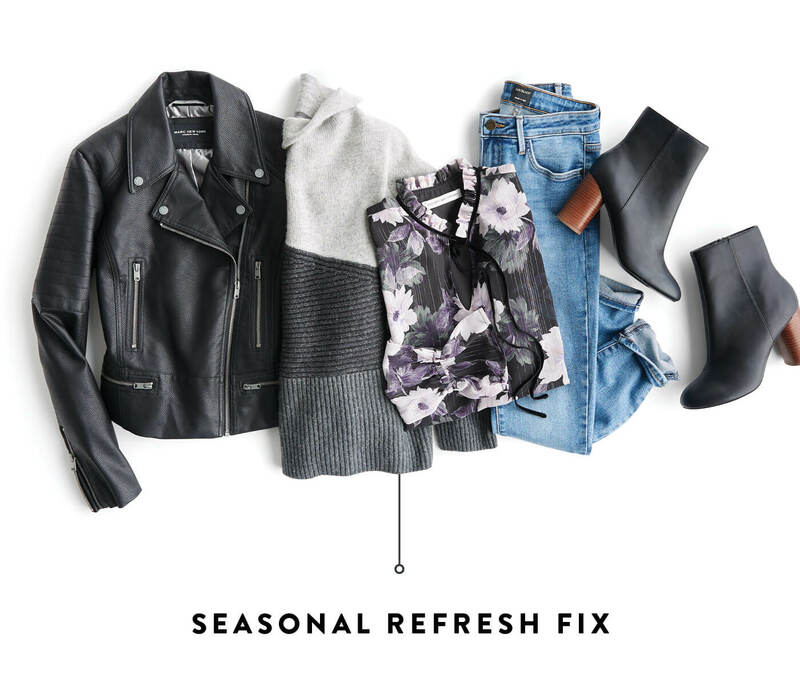 Whether you want a head-to-toe outfit for a special event, a Fix full of jeans or an all-trend shipment—your Stylist is ready! Get inspired by these notes to send to your Stylist to get a Fix that’s just right for you. Keep reading for tips on getting a Fix your way! A new season means there are new trends to try! Keep your closet fresh and stylish with a Fix that’s perfect for when your closet needs a little update. 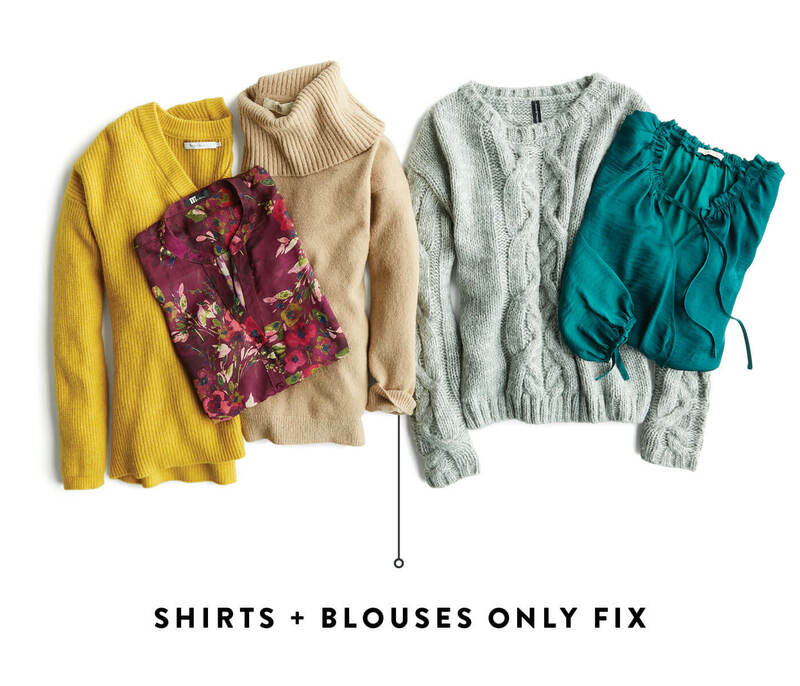 Changing temps making you question your usual closet staples? Copy & paste a note to let your Stylist know it’s time for a change. We cannot believe how lucky we are to live in a time where athleisure is a trend–comfy clothes you can wear wherever? Yes, please. Keep some pep in your loungewear step with stylish pieces that are still oh-so-soft. Need to leave your Stylist a hint? Copy & paste one of these athleisure-wear needs into your note. If you need a legging update “I wear the same black leggings all the time and I want something new. Can I try a pair with some interesting details like texture, piping or mesh? The perfect pair of jeans? Oh, they exist. And it’s absolutely necessary to have the perfect pair…or three. Dressed up for a night out, or with your favorite t-shirt around the house, jeans are a classic cool go-to for any closet. 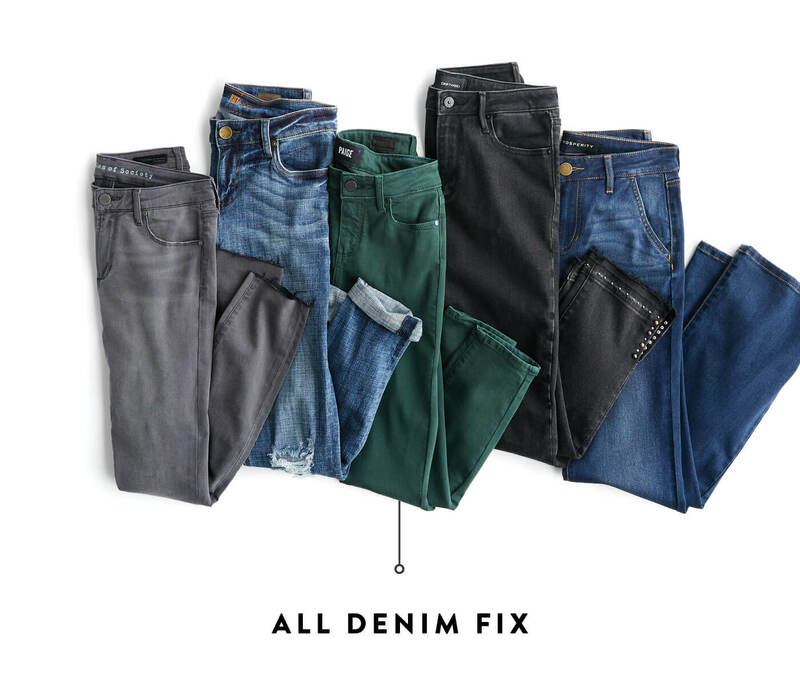 Keep your Stylist in the loop when you want new denim. Ready for some denim in your next Fix? Copy & paste one of these into your Fix note! Need new tops? Just copy & paste one of these bad boys into your note. Give me all the jackets! 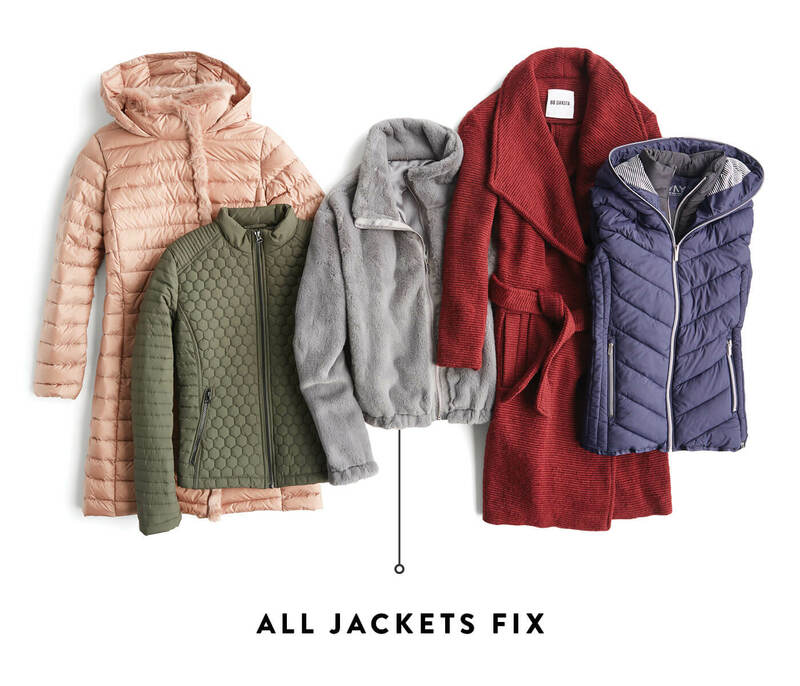 That’s right–you can ask your Stylist for a Fix full of second layers only: jackets, trench coats, vests, pullovers, three-quarter zips…you name it. Give your usual black jacket a rest and ask your Stylist for some statement colors, or tempting textures for your Fix full of coats. Need a hand to request some second layers? Copy & Paste these into your Fix note. If you’re looking to update your trench coat I’m looking for a new trench coat for the Fall. Can you please send me one? If you’re in the market for an edgy trend I’m seeing that bomber jackets and leather jackets are trending. Can you send me one that’s cute and keeps me warm? If you live somewhere where the temps drop way low It gets super cold here during the fall and winter months! I need a puffer jacket/vest to keep me seriously warm. Ready for a new kind of Fix? Schedule a Fix and let your Stylist know what you’re looking for today!